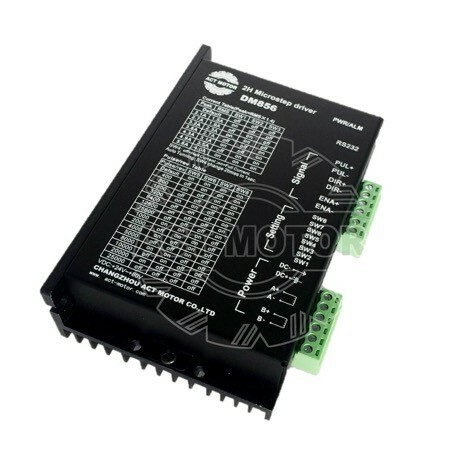 The DM856 is a type of two-phase hybrid stepping motor driver. The drive voltage o fit is frrom 24 VDC to 80VDC. It is designed to use with 2-phase hybrid stepper motor of all kinds with 57 mm to 110 mm outside diameter and less than 5.6A phase current.